To many, Charles Scott Sherrington is best known for providing us with the term synapse, a word we still use to describe the junction where two neurons communicate. While Sherrington's work to understand synapses and neural communication was important, however, his studies of reflexes, proprioception, spinal nerves, muscle action, and movement were much more expansive and probably even more influential. Regardless, his observations concerning synapses are representative of the meticulous care with which he investigated and made deductions about the nervous system and its function. His writings on the synapse came at a time when Santiago Ramon y Cajal was beginning to convince the scientific community that the brain consists of separate nerve cells (which became known as neurons in 1891) rather than a continuous "net" of uninterrupted nerves. One thing missing from this theory was an understanding of how neurons might communicate with one another. In writing on that issue, Sherrington proposed a specialized membrane---which he termed a synapse---that separates two nerve cells that come together. Microscopes of the day couldn't actually observe the separation found at synapses (which is minutely small), so Sherrington was forced to describe the synapse as a purely functional separation---but a separation nonetheless. He based his hypothesis on observations he made in his own research like the fact that reflexes (which he studied extensively) weren't as fast as they should be if they involved simply conducting signals along continuous nerve fibers. Sherrington had originally planned to use the term syndesm to describe the functional junction between neurons, but a friend suggested synapse, from the Greek meaning "to clasp," since it "yields a better adjectival form." Thus the term synapse was born, but for Sherrington his observations about the synapse were really just one part of a much greater investigation into reflexes and nerve-muscle communication. He made an important contribution in this area when he helped to elucidate the mechanism underlying the famous knee-jerk reflex (which you've likely experienced when a doctor has tapped just below your kneecap to cause your leg to kick outwards). His work on spinal reflexes also led Sherrington to another seminal hypothesis. He proposed that muscles don't just receive innervation from nerves that travel to them from the spinal cord but that they also send sensory information about muscle length, tension, and position back to the spinal cord. Sherrington believed that this information is important for things like muscle tone and posture. He hypothesized that there are receptors in the muscle that convey this type of information, and he specifically identified muscle spindles and golgi tendon organs as potential receptors that send information about stretch and tension, respectively (this would later be confirmed). To describe the information these muscle receptors send, Sherrington coined another term: proprioception. He chose this term because proprius is Latin for "own" and he wanted to emphasize that the sensory information sent from these muscle receptors comes from an individual's own body, and is not initiated by an external stimulus (as is common with other receptors). Among Sherrington's many other contributions to understanding movement and muscle function, he also helped to develop a better understanding of the mechanism underlying something called reciprocal innervation. Reciprocal innervation refers to the way in which the activation of one muscle influences the activity of other muscles. This is a common and necessary response. As we walk across the floor, for example, when the muscles involved in the extension of one leg are activated, the muscles involved in the retraction of that same leg must be inhibited. Otherwise, our muscles would constantly be competing with one another, which would result in complete rigidity and make movement (or even standing in one place) impossible. Sherrington didn't discover the phenomenon of reciprocal innervation, but he spent years studying it and in the process gave us a better understanding of how it works. His investigations of reciprocal innervation led to a number of experiments on complex reflexes involved in movements like walking, running, and even scratching. His work helped us to understand how some reflexes involve chaining together several simple reflexive actions to create a seemingly complicated behavioral display. Sherrington's focus on spinal nerves and reflexes led him to map the motor nerves traveling from the spinal cord to the muscles and the sensory nerves traveling from the muscles to the spinal cord---a task which took him almost ten years. He also explored the functionality of these nerves, helping to create a map of the area of the body served by a single spinal nerve (areas known as dermatomes). And he mapped the ape motor cortex, expanding on previous maps that had been made with dogs and monkeys. Thus, although Sherrington may be best known for his naming of the synapse, his other work---which was broad but focused a great deal on muscles, movement, and reflexes---was probably even more valuable to our overall understanding of the nervous system. 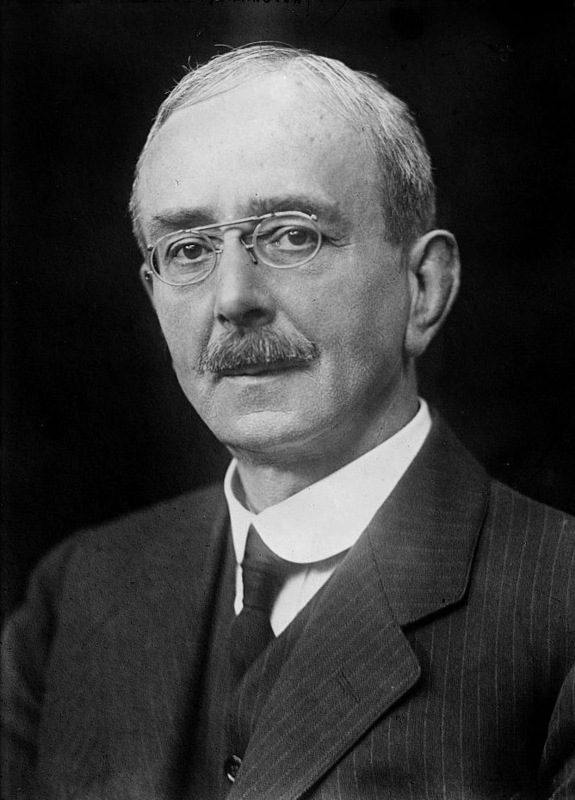 Sherrington won the Nobel Prize for Medicine in 1932 just as he was entering into his retirement, as recognition for his wide-ranging contributions to neuroscience. He continued to write into retirement, and branched out from scientific writing to publish a collection of poems as well as a book that focused on philosophical themes like the relationship between the mind, brain, and soul. He died in 1952 at the age of ninety-five.